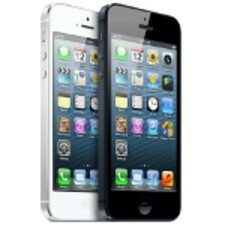 Will we see a cheaper version of the Apple iPhone 5 this year? Speaking at the Goldman Sachs Technology and Internet Conference on Tuesday, Apple CEO Tim Cook said that despite the wide spread availability of the Apple iPhone, there is plenty of room for growth. "It may surprise you, but iPhone is only available to about 50-percent of the subscribers in the world," said the executive. 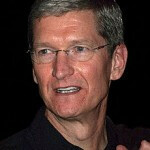 Cook pointed out China as one area where the Apple iPhone has made some great strides, but has a long way to go. In other emerging markets, the device faces competition from cheaper Android models, which makes us wonder if Cook's comments are being done to plant the seeds for a cheaper version of the iPhone, expected to be made of plastic and launched this year at a price of $250-$300 off contract. I never liked Apple, but what you say is stupid, we need competition in the market, and i hope Apple starts changing a lot ( OS, restrictions, price,..) Then in 5 or 10 years I might consider buying the iphone. I agree, we need competition, but not from Apple because Apple's competition occurs only through courts. @wendygarett, why don't you change your avatar as well? Yours isn't very healthy. Also, I see on here where nobody likes you at all. So why dont you try to be a little nicer, or take your a$$ to cupertino where all of the other a$$holes are. Apple is going down b!tch. No we need competition that come up with their own ideas and not copy them from Apple or other companies. PC GUI. LG Prada. Drop down notification shade. Wireless sync. Active stylus. Smaller tablet. Larger smartphone. Swipe to unlock. Most of what Apple puts out is copied. Most of what everybody puts out is copied nowadays. Rite now the innovation engine is mostly stalled, save for a few small things from Samsung, popup vid, multi window. We r looking at a few years before revolutionary innovation occurs again. Ted what do u think the next game changer hardware/software wise will be? The more u type the obvious it is u just want to heard. No, the right reason is: The market is expanding. So there's obviously an opportunity for WP/BB10/Android/iOS to grow and Sailfish/Ubuntu to make a mark. This in turn will help us to get better and cheaper products. Much more room, but to grow the iPhone they need to growww the iPhone. Seriously i don't understand apple haters, even if you say something good about apple, they THUMB YOU DOWN, they treat you of a f*g, an iWh*re, an iFanboy, that you are retarted and that you s*uck tim cook's d**k. And even if i like both Android and iOS EQUALLY, when i say that there's something wrong with android ( precisely lack of apps polish or tablet apps ) they tell you you're ignorant or to go F*ck yourself. Really Android fanboys, and apple haters generally are worse than apple fanboys. I never saw a singe comment with more than 10 thumbs up (or even 5) and no thumbs down that tells something good about apple. And when a news comes out about the iPhone, they rush to bash it and get tons of thumbs up, like if they even care. Seriously they also say that "iPhonearena posts too many news about the iPhone" while the iPhone has 362 articles while the S3 has over 400, and we knwo how arly leaks were. Seriously phonearena should do this, they should make seperate sections for every platform, so we know who the fanboys are. And a little message to apple haters : you guys are pathetic, if you think your platform is better than the olther, keep it for you, of you see a news about apple, don't click on it, you hate apple, right? oltherwise, you're just a troll that has no life. Dude that's the post of the year. Well said agreed agreed agreed. I understand the idea of the post, and there is some truth to it, but it most definitely is not the post of the year. Two requirements would require it to be properly written and punctuated. The way it is written makes it a touch hard to read....... Both sides of the argument have some very mean spirited people. These are phones for crying out loud. It isn't worth getting worked up about. Punctuation aside...that guy hit the nail on the head. And so did u about the these are phones part.